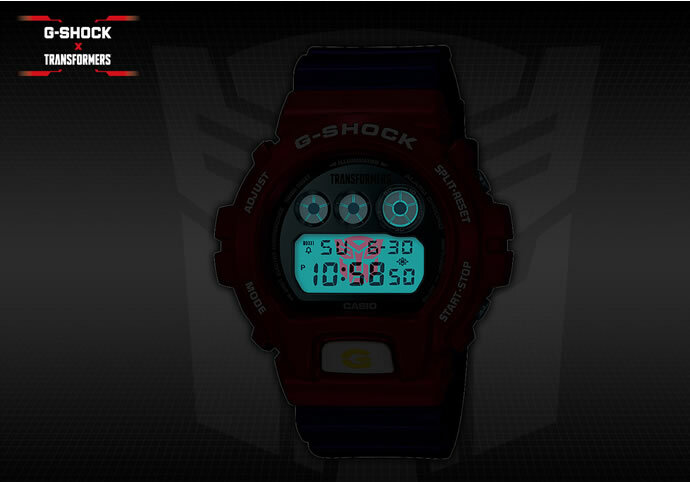 Casio announced the release of a new collaboration model bringing together the G-SHOCK brand of shock-resistant watches and the globally popular TRANSFORMERS franchise. 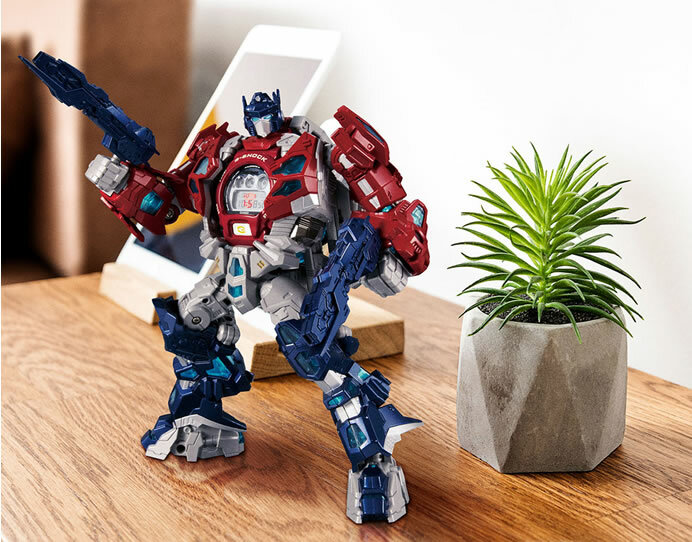 The new DW-6900TF-SET includes a G-SHOCK watch and a TRANSFORMERS figure that converts from a robot to a pedestal for the watch, and back again. The collaboration between G-SHOCK and TRANSFORMERS unites two global brands that continue to stand for strength and toughness at all times. This is the second tie-up project between these brands. 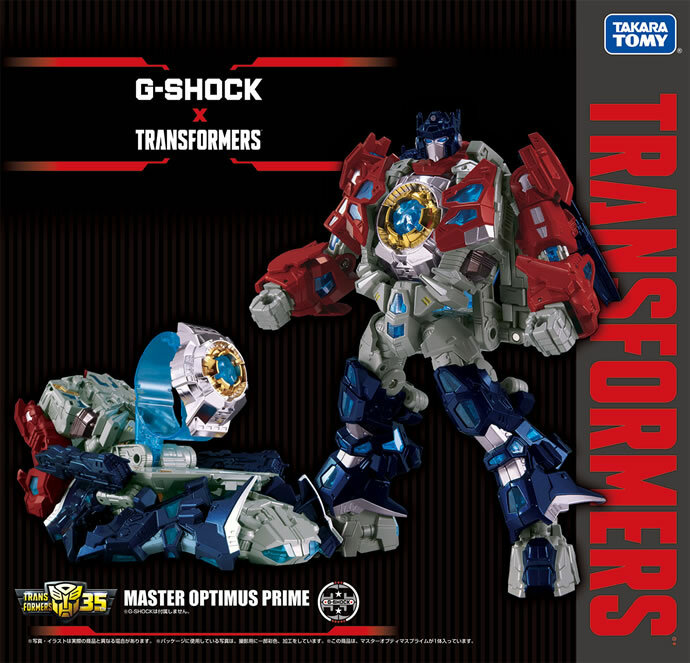 In 2017, in their first collaboration, they created a movie with a new original character named GT3 Prime, drawn in a motif inspired by G-STEEL, a series of G-SHOCK metal watches.The new collaboration, which celebrates the 35th anniversary of G-SHOCK in 2018 and the 35th anniversary of TRANSFORMERS in 2019, goes a step further as a tangible product users can hold in their hand, in the form of a special TRANSFORMERS robot known as Master Optimus Prime Resonant Mode and a G-SHOCK watch. 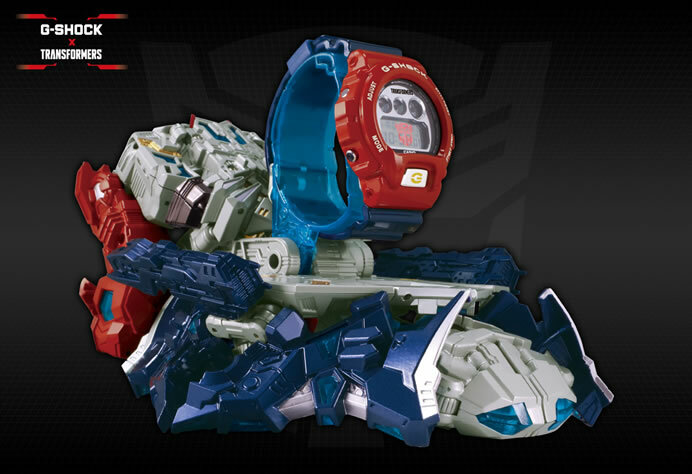 The special robot included in the DW-6900TF-SET integrates a G-SHOCK watch into its chest and converts back and forth between Master Optimus Prime Resonant Mode, a standing robot figure, and Pedestal Prime Mode, which displays the G-SHOCK watch. 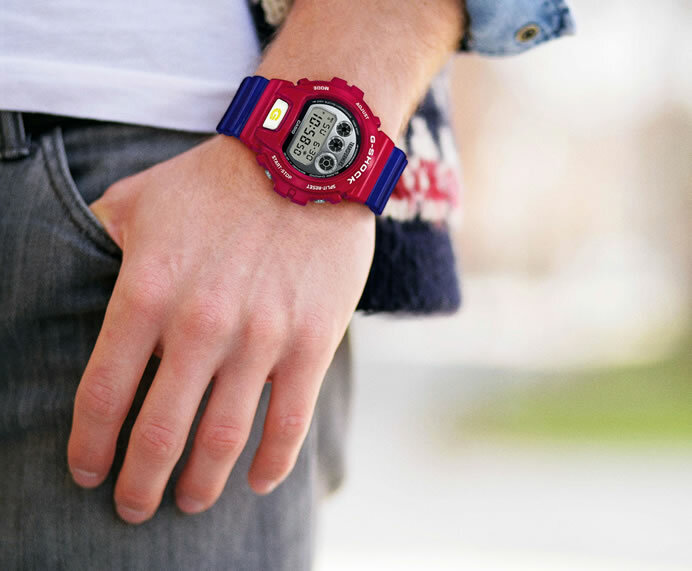 The matching red and blue watch is based on the DW-6900, which is widely popular in Japan and around the world. Turning on the EL backlight produces the Autobot symbol from the camp of righteousness and justice to which Master Optimus Prime belongs. The special model is also distinguished by custom packaging. 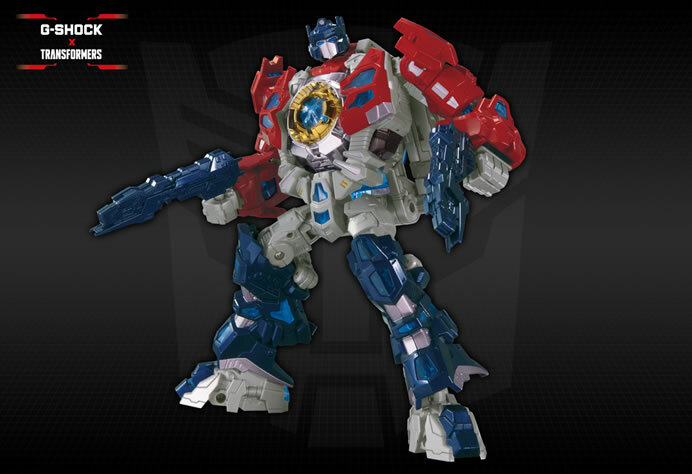 The TRANSFORMERS franchise originated out of a toy line created in Japan by the company Takara Tomy K.K. (then known as Takara K.K. 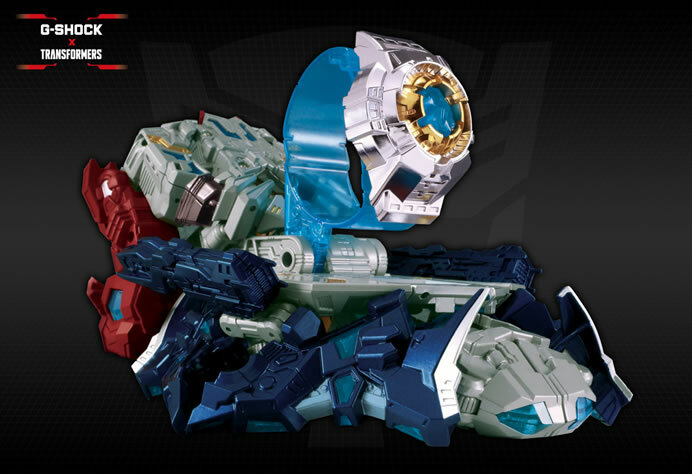 ), in partnership with Hasbro, based on the unique concept of “Robots in Disguise”—robots that deceptively change into and back from various everyday objects. 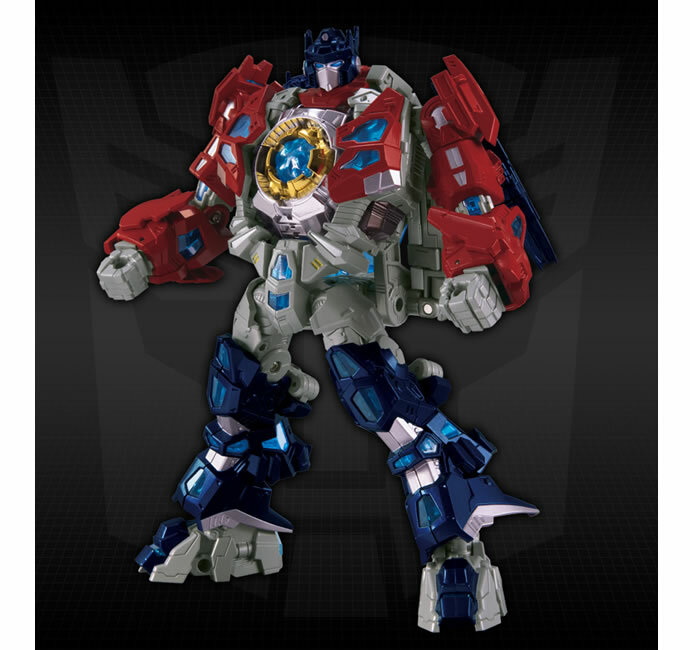 The TRANSFORMERS toy line was launched in the U.S. market in 1984 and was followed by a hit animated television series and comic book series. 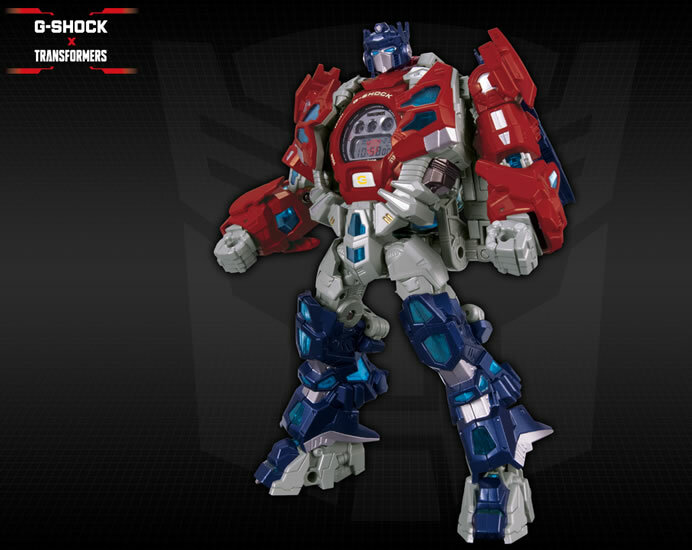 More than 500 million TRANSFORMERS figures have been sold to date worldwide in over 130 countries and regions, a testament to the massive global popularity of the TRANSFORMERS franchise.